First off, the fact that this book was published in 2011 gives them no excuse for the authors to get major facts incorrect in the chapter on Queen Katherine Parr; to top it off they use Susan James as a source! After all the recent biographies and research done on her there is absolutely no excuse for it. Katherine did not marry at age 13 to the Lord Borough of Gainsborough. She married in 1529 the grandson of the 2nd Lord Borough of Gainsborough who had not even been called to Parliament as such since he was declared insane. The two shared the same name and the younger Edward would have inherited the barony after his father Thomas’s death, but he died in 1533 before his father. Proof of who she really married is stated in her mother’s will. What is interesting about the chapter is that the authors state that “Parr” became a lady-in-waiting to Katherine of Aragon after the death of her first husband and that she was on her way to marry her second husband when the King married Anne Boleyn in 1533. FACT: In 1533, Katherine had just been widowed and was in no hurry to re-marry. She was never lady-in-waiting to any of Henry’s other wives. Her mother and her sister were the only ones to attend upon one of the wives; her sister served all six. Maud Parr, her mother, attended Queen Katherine of Aragon until her own death in 1531. Moving on, Lord Latimer was not the “head” of the Uprising of the North. In fact, he himself was captured by the rebels while Katherine and her step-children were held hostage. The fact that Katherine changed her views after she married King Henry is simply untrue. There is no set date as to when Parr may have converted to Protestant views, but it is thought that it might have happened after the rise of Anne Boleyn or during the time that she was held hostage. As for the undertaking of translating Erasmus, Katherine Parr encouraged the Lady Mary Tudor to translate it and when she became too sick to complete it, it was finished by Mallet. Mary and Katherine got along and were good friends through out her reign. It is known to be the happiest time of Mary’s life. I love how the author quotes using Susan James’s as a source for her biographical information when it completely contradicts what she actually wrote in her book. Apparently these authors did not read the book carefully enough. 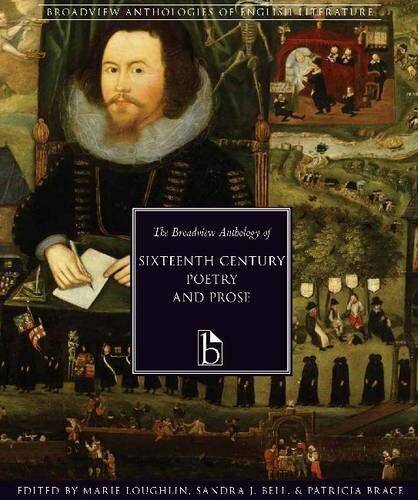 This entry was posted in Reviews of Media: Queen Katherine Parr and tagged book review, Broadview Anthology, catherine parr, katherine parr, marie loughlin, patricia brace, sanda bell by tudorqueen6. Bookmark the permalink.